Recently I interviewed Olga Pancenko, the chief operating officer of Perrin Paris, who shared her thoughts about the Perrin Paris brand and branding, in general. The premise of our conversation was simple: How does a brand that is more than 100 years old remain relevant today? 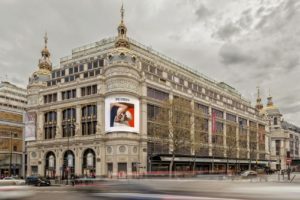 While you may be familiar with such well-known French fashion brands such as Chanel, Hermes, and Louis Vuitton, Perrin Paris has set its own course since 1893 when it was founded in Saint Junien, France. Originally founded as a glove maker, the brand reached its peak back in the 1920s with boutiques throughout the world. But, as people stopped wearing gloves, the brand was forced to scale back. 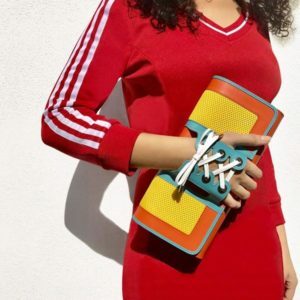 In 2007 when the fourth generation of the Perrin family, Michel Perrin and his wife Sally Perrin, re-launched the brand with a unique collection of clutches, handbags and leather accessories. Today, the brand’s products are available through five Perrin Paris boutiques (Paris, New York City, Beverly Hills, Hong Kong and Tokyo) and partnerships with selected retailers in the U.S., the EU, Asia and the Middle East. In this conversation, Olga Pancenko speaks frankly about the lessons she has learned over the course of her career, and in her work for Perrin Paris. What struck me was the importance of knowing what your brand stands for, and staying true to it – a lesson that many brand owners should heed. Stephen Dupont: How did you become part of Perrin Paris? Olga Pancenko: I was born in Ukraine and raised in Latvia. I studied in Paris and received my masters from the Université Paris Dauphine. And from there, I joined Freuds, a high-end public relations consulting firm in London founded by Matthew Freud, the great grandson of world-renowned psychoanalyst Sigmund Freud. I really enjoyed working there. It was a very intellectually stimulating experience. I worked with a number of Fortune 500 companies, such as Google, BMW, PepsiCo and Walmart, while I was in my mid-twenties. There came a point where I wanted to see things from the other side. As a consultant, I would give my recommendations to a client but I couldn’t see first hand how those recommendations were implemented, or if they were really having an impact. So, I took a COO position with a European tech startup, which allowed me to travel to Southern California. I fell in love with this part of the world, and coincidently, a good friend of mine who knew the Perrin family, introduced me to them. Stephen Dupont: Had you heard of the Perrin Paris brand before your friend had introduced you to the family? 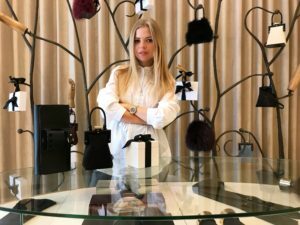 Olga Pancenko: I didn’t know the brand but I do remember that their unique handbags caught my attention as I passed by the Beverly Hills store numerous times when I was in the area for business. Only when I was introduced to the Perrins did I connect the dots. Stephen Dupont: What did you learn from your experience as a consultant at Freuds? Olga Pancenko: I learned many things as I was learning from the best! I became really good at gathering and analyzing consumer insights, and referencing social and political trends in my marketing approaches. I learned to think outside of the box, and be creative. I became passionate about branding, and the elements of building brand equity. Regardless of what size of a company I was consulting for, everyone was looking for the big idea. But this is the problem of working with a marketing agency – ideas are great, but often times they are hard or impossible to implement because of various structural and logistical challenges the executives on the company side are facing. The key for a good marketer is to understand their client as fully as possible and work towards leveraging their natural strength instead of pushing for the impossible. The point of difference around which to communicate should be real, existent and not forced or artificially created — otherwise things will not work out. Stephen Dupont: Can you describe for me the Perrin Paris brand? Olga Pancenko: Yes. It is timeless. Chic. Elegant. Sophisticated. But what I particularly like about it is that it’s a brand with a sense of humor. Stephen Dupont: What inspires the Perrin brand? Olga Pancenko: It’s a brand that is inspired by art, architecture and timeless design. Sally Perrin, the wife of Michel Perrin, is our creative director. Sally has excellent taste. I admire how she curates materials and color palettes for the collections. Sally is very interested in interior design as well, and a lot of inspirations are drawn from the iconic work of Sally Perrin’s favorite architects, such as Zaha Hadid, for example. Hadid was a big fan of Perrin’s bold aesthetic long before she passed away in 2016, and this led to a wonderful collaboration between her design studio and the brand. Stephen Dupont: Could you describe for me the core Perrin Paris customer? Who is she (or he)? Why are they passionate about this brand? Stephen Dupont: For those who may not have heard of Perrin Paris, could you share some thoughts about where this brand sits in comparison to other well-known French brands such as Chanel, Lacoste, Hermes, Louis Vuitton, etc.? 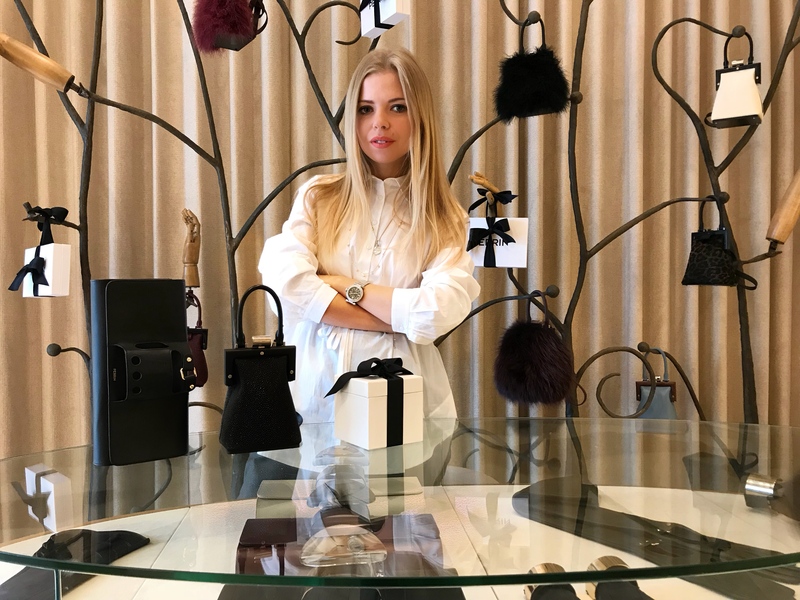 Olga Pancenko: In my opinion, brands such as Chanel, Hermes and Louis Vuitton are global brands that typically are a person’s first big luxury purchase. In many product categories, there comes a point where you’re looking for something unique. You become tired of showing up at the same event or party with the same brand that everyone else also has. For those customers, there is Perrin. We are this rare find. Our clutches and handbags are conversation pieces. The DNA of our products connects with the DNA of those who have the confidence to not follow the pack. Because we understand this, we don’t come out with dozens of new designs every year. Maybe only a few, but each one is truly special. Stephen Dupont: Could you describe the brand experience that you want Perrin Paris customers to have? 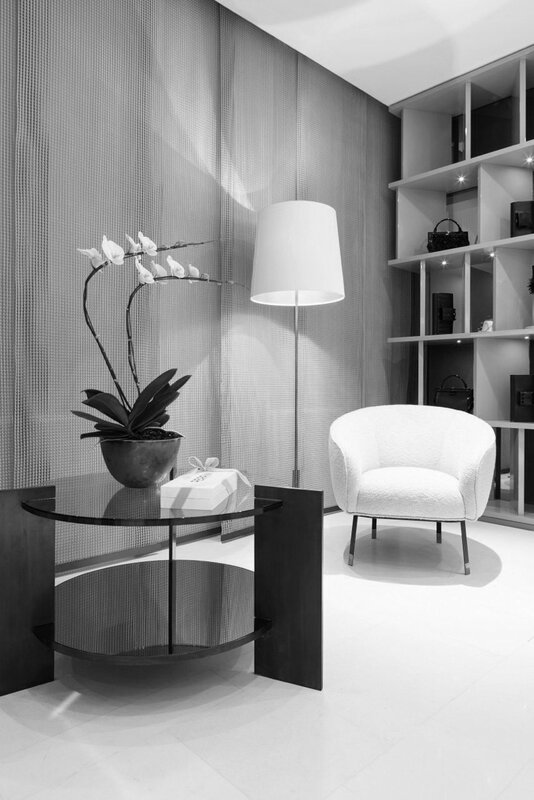 Inside a Perrin Paris boutique. Olga Pancenko: We believe that the brick-and-mortar experience is very important to allow the customer to experience the brand and its universe fully. This is especially true for a more “rare” and niche brand such as Perrin. 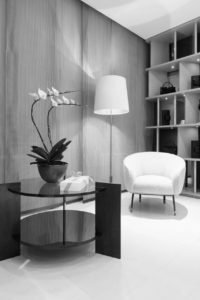 I strongly believe in the importance of putting the product in the right context – the design of the display, the colors of the interior, the bespoke fragrance in the store – all of these details benefit to create a coherent customer experience. You certainly want to be exclusive, but you also want to be inclusive when it comes to the relationship with the customer. This is why we take pride in training a real “connoisseur” staff. Our customers want to learn more about how products are made, they want to be aware of the design process, hours spent on creating each product, skins sourcing and much more. It is hard to imagine these kinds of conversations at Neiman Marcus. In my opinion, it is close to impossible to create an authentic environment for a brand via reseller business. This dialog is just not there when it comes to multi-brand stores. I do believe in digital and luxury e-commerce, don’t get me wrong – but I still think that to build a true, long-standing brand identity, the mono-brand retail experience is an absolute necessity. 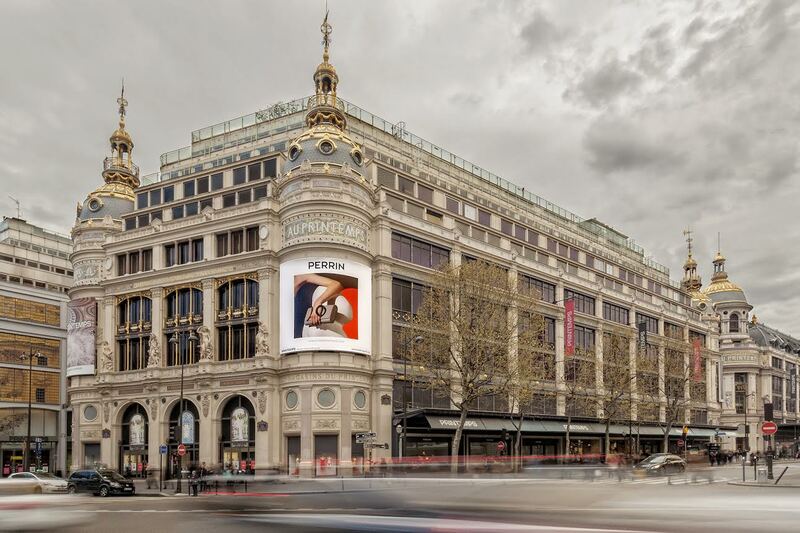 Perrin ad on a Printemps store in Paris. Stephen Dupont: Perrin Paris has been around since 1893. What do you think has been the key for the staying power of his brand? Olga Pancenko: It boils down to knowing what your brand stands for, and staying true to that brand. Remaining authentic. At Perrin, we are doing everything to protect our brand’s unique identity from being swallowed by the mass luxury market. We are genuinely not interested in overexpansion. Of course, every business is there to make a profit and grow – staying deliberately niche means saying no to big contracts, important distribution opportunities and this can affect your cash flow. But eventually it all pays off. Today we end up catering to a very demanding consumer that is tired of big names and turns to Perrin for rare and precious objects of art that are carefully curated and crafted with passion and dedication. We don’t advertise in magazines, we don’t open stores in malls of every major city. We have five boutiques and a very small but elite group of retail partners who carry our line. Instead of putting all the time and effort into disproportional expansion, we are focusing on creating conversation pieces that speak for themselves and reinforce our DNA. Stephen Dupont: What distinguishes Perrin Paris from other companies that make luxury leather goods? Olga Pancenko: We carefully source all of our leather. We know exactly where it comes from. We tan it to our specifications. And then we give our craftsmen the time to work their magic. Some of our products take 50 hours of handwork to make. When you see our clutches or handbags, we want you to see the craftsmanship and quality, not just the design. Stephen Dupont: Can you describe for me the French approach to style that is baked into the design of Perrin Paris products? Olga Pancenko: The French approach to style is timelessness. We don’t chase after trends. Instead, we focus on elegance and lasting quality. Our products are bold, yet subtle. We also don’t take ourselves too seriously. We do things with a little humor. Stephen Dupont: Could you share some insight into the creative process that goes into designing Perrin Paris products? As a leader who has a hand in fashioning the vision for the brand, what do you want to see as part of that process? Olga Pancenko: The Perrin design studio is located in Paris in the Palais Royal area. Our creative director Sally Perrin works out of Paris with the support of her team. There is no better place than Paris to be creative! The team is constantly visiting exhibitions and shows to gather ideas, inspirations, source leathers and materials for collections. Art and design are integral to the Perrin DNA and it is very important for the creative team to be in a particular environment. It takes time to build a good team and we are proud to have such a solid group of creatives. Stephen Dupont: What lessons do you think other businesses could learn about the Perrin Paris brand that they could apply to the brand experience that they’re trying to create for their brands (including B2B brands)? Olga Pancenko: I think the most important thing is to never lose sight of your DNA. Stay true to your roots. Even when it’s time to re-brand, think long and hard about how to incorporate your heritage into your offering while keeping it modern and relevant. This is exactly what Perrin has been through as a brand. Starting off as a glove company in 1893, Perrin has re-invented itself and launched a beautiful collection of luxury handbags about 10 years ago. While we do not rely on gloves anymore to bring the business forward, we did not forget gloves. We created a “gloveclutch” – a unique handbag with the leather glove-like part attached to the front panel of the bag. We have patented the design. Not only is it unique but it’s truly ours and this bag allows us to tell the Perrin glove story to the customer. Customers love to hear the story of the brand and connect the dots. Stephen Dupont: What does the future hold for the Perrin Paris brand? Olga Pancenko: Continuing our expansion in Asia is certainly the most important thing on the agenda for the upcoming year. Now that we have a physical presence in the region with both mono-brand stores and retail partners, the popularly of the brand has grown tremendously and we feel ready to enter the Chinese market. We did not want to rush things earlier because we strongly believe in the importance of a strategic approach to this complex market, which accounts for 20% of luxury purchases in the world! We are currently working on a big project in the region with a strong digital approach. Stephen Dupont: In your role of running the marketing and operations of the company, who has inspired your thinking about branding? Olga Pancenko: Everything I know about marketing and branding I learned at my previous job with Freuds. I was working with the best brains in the industry – the most insightful, creative and original individuals. Having spent years in an agency, I have learned to go for the craziest idea and then simplifying it along the way to break logistical barriers and make sure it can be brought to life. Stephen Dupont: What three lessons about branding have you learned from your Perrin Paris experience that you would be open to sharing? Olga Pancenko: One, you must be innovative. Don’t be dull. Bring unexpected elements to your product development and your marketing. For example, we’ve incorporated “unexpected” materials to our bags that few brands have attempted. We work with natural wood, plexiglass and other interesting materials that create unique and beautiful combination with luxurious leathers. Two, strive to be classic. I firmly believe in this. Know the DNA of your brand and stay true to it. Being timeless, and classic is very important. This not only allows your product to have a longer life, but it also allows you to keep a firm pricepoint. When you are not highly “trendy” and not highly seasonal you are in no need of deep discounting at the end of the season. I can tell you that our wholesale partners do not put our products on sale. And three, in today’s marketplace, you must master the digital world. There’s no reason to be old school and not invest in digital experience. We meet our customers where they want to be greeted. When approaching digital, we are inspired by great digital companies selling luxury goods rather than luxury companies that try to build a digital presence. When building our e-commerce business, I’d rather learn from Farfetch than from Chanel. Stephen Dupont: Thank you for sharing your story and that of Perrin Paris. For additional thoughts about branding, check out my two recent articles published by Forbes.com, Seven Tips to Fuel Your Marketing with Authenticity and Four Lessons in Building a Powerful and Authentic Brand Narrative. Also check out my article on how to build superfans for your brand. Stephen Dupont, APR, is VP of Public Relations and Branded Content for Pocket Hercules (www.pockethercules.com), a brand marketing firm based in Minneapolis. Contact Stephen Dupont at stephen.dupont@pockethercules.com, or visit www.linkedin.com/in/stephendupont.